Why Are Psychology And Sociology On The New MCAT? In today’s world, physicians need to know how to communicate with and serve an increasingly diverse population. Until this year, the MCAT hadn’t had any major revisions since 1991. Since then, lots has changed in the medical world, and the new MCAT2015 aims to address some of those dramatic changes with its new Psychological, Social, and Biological Foundations of Behavior section. In today’s world, physicians need to know how to communicate with and serve an increasingly diverse population. They need a clear understanding of how behavior impacts health. When you prepare for this new MCAT section, you’ll also be preparing yourself for work as a modern doctor. AAMC published a report a few years ago in which they talk extensively about the growing importance of the social sciences for medical professionals. So what does the new Psychological, Social, and Biological Foundations of Behavior section test? • and require you to demonstrate your scientific inquiry and reasoning, research methods, and statistics skills as applied to the social and behavioral sciences. It’s important for students to understand that these changes to the exam tell the story of the changing medical field. Students must adapt their test prep plan to these changes, as well as their attitudes as they prepare for a future in medicine. Are you looking for more information in the new MCAT? Do you need help preparing for the MCAT2015? 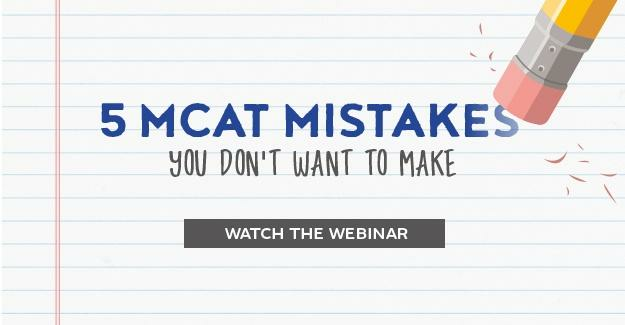 View our webinar The New MCAT: What’s Hype, What’s Real, and What You Can Do Today for practical advice on how to prep for, take, and ace the MCAT! • What Does The AAMC Post-MCAT Questionnaire Tell Us About Premeds? Last updated on March 21, 2016.